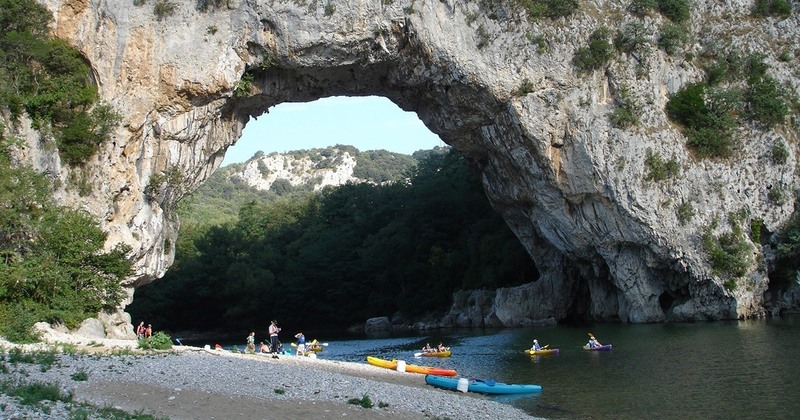 Natural Arch, located 5 km outside the town of Vallon Pont d'Arc. 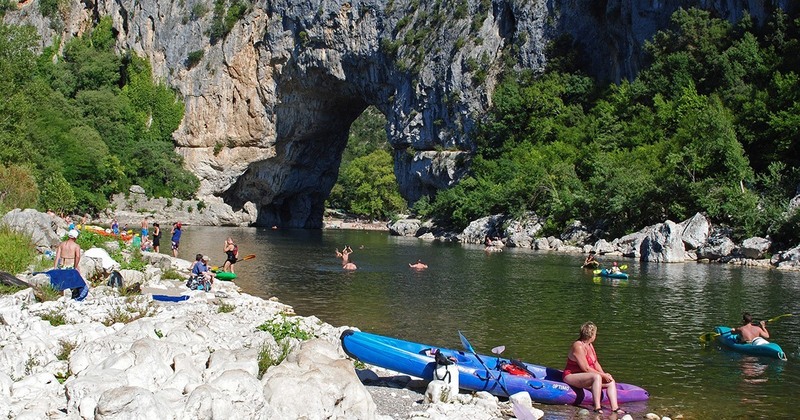 The bridge is 60 m wide and 54 m high and was hollowed out by the Ardèche River. 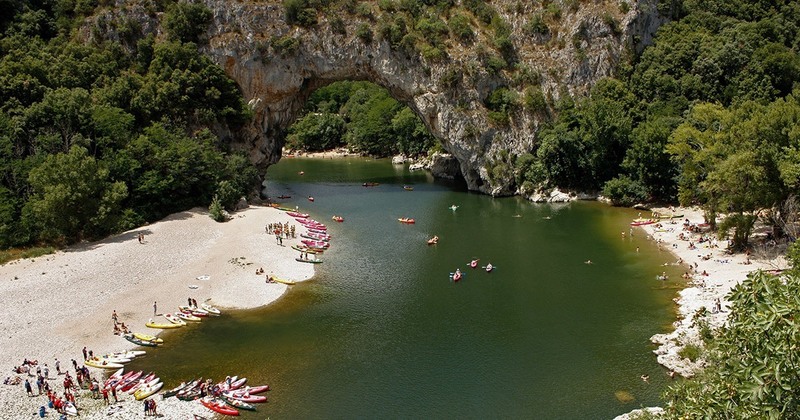 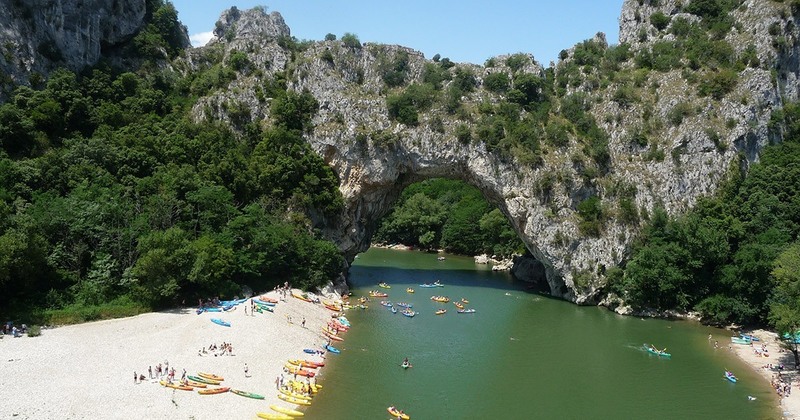 This is the place to be for canoeing lovers and it is the natural entrance of the Ardèche Gorges.